The V-8 engine is destined to be phased out next year, so if you like this model, get one now. The 2010 Volvo XC90 has aged gracefully and now is more feature-packed than ever; however, its poor fuel economy tarnishes an otherwise superb vehicle. 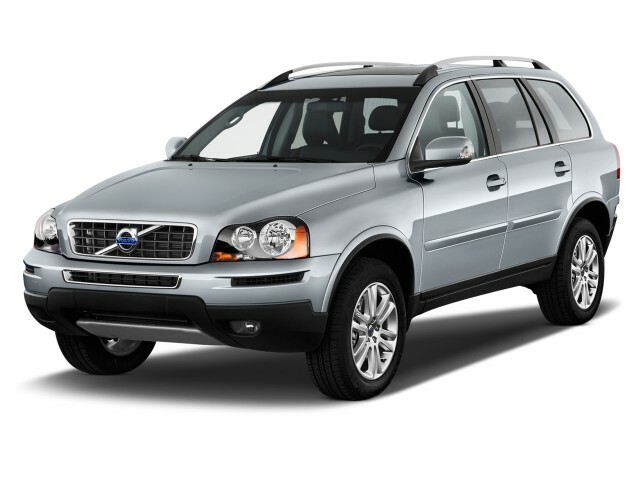 When it was first introduced for 2003, the Volvo XC90 was one of the first carlike crossovers in the luxury realm. Now, many years and several design and powertrain changes later, the 2011 XC90 keeps with the same basic formula of top-notch interior comfort; safe, secure performance; and an upscale yet family-oriented feature set. With the exception of one minor refresh, the 2011 Volvo XC90 carries through with that original look; while it still looks good from a distance, the design is starting to look dated, especially on the inside. The 2011 Volvo XC90 is a family vehicle, not a sport sedan, but it performs as well as any busy mom or dad might expect, even allowing the opportunity to get on the gas a little more when the kids are at school. Power in the 2010 Volvo XC90 comes from a 240-horsepower, 3.2-liter six-cylinder engine or a 311-horsepower 4.4-liter V-8, with a six-speed automatic. But even with the V-8, the XC90 feels very quick, though it still doesn't feel overtly sporty. It's mostly a matter of the steering, which is responsive but not engaging; in either of the model, the body stays in check, even in quick maneuvers. On the practical (and green) side, fuel economy numbers for the XC90 are lackluster—as low as 14 mpg city, 21 highway for the V-8 model, and that's up from last year. The XC90 is capable of carrying seven over three rows of seating and is, in some respects, a good alternative to either more trucklike SUVs or anonymous minivans. Front seats are, as in much of the Volvo lineup, supportive, comfortable, and worthy of all-day drives. Entry and exit is quite easy, too, as the seating position is more carlike than in other utility vehicles. Cabin materials feel impressive, and though in appearance they're quite stark there are plenty of pleasing soft-touch surfaces. Ride quality is another high point. Although V-8 models and those with the optional 18-inch alloys have a slightly harsher ride, overall ride quality is excellent, with less pitchiness and side-to-side motion than in many other crossovers. In recent years, Volvo has worked to add more features to their vehicles without significantly raising prices. Such is the case with the XC90 as well; it's a better value compared to other models in its class, and for 2011 it gets a few more features. A Bluetooth hands-free interface, Sirius Satellite Radio, and new watch-dial instrumentation are newly standard. Otherwise, there are plenty of opportunities to add impressive tech features to the XC90. In addition to a Luxury Package that can bring heated front and rear seats, massage and ventilated front seats, upgraded leather, and other appearance upgrades, there's a Multimedia Package that brings a premium audio system, DVD-driven navigation with real-time traffic, and a rear park-assist camera. Other standout features include Volvo's Blind Spot Information System (BLIS), bi-xenon headlamps with Active Bending Light, and a dual-screen DVD system. The design of the Volvo XC90 is looking dated inside, but it still holds up well from the outside. With the exception of one minor refresh, the 2011 Volvo XC90 has carried through with essentially the same look as when it was first launched; while it still looks good from a distance, the design is starting to look dated, especially on the inside. The XC90 has a rather butch, tall-wagon look that's only slightly rounded at the corners. A smooth shoulder line runs the length of the body, leading to taillamps much like those of Volvo's cars, while in front the grille is more upright and less integrated with the bumper than in, say, the new S60. It's the toughest-looking Volvo ever, from the outside. 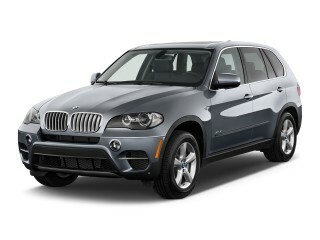 For 2011, the only styling change is that all XC90s get silver roof rails. Inside is where the XC90 design now really shows its age. While the rest of the Volvo model line now features a 'floating' center stack—a thin panel that houses audio and climate controls, with an open area and storage just behind—the XC90 has Volvo's former-generation instrument panel, with a wider center console and solid center stack. Otherwise, it's dressed in rather conservative-looking (except in some nice two-tone combos) but expensive-feeling trim and switchgear. For a family vehicle, the 2011 Volvo XC90 performs exactly as you'd hope; look elsewhere if you want edgy performance, though. The 2011 Volvo XC90 is a family vehicle, not a sport sedan, but it performs as well as any busy mom or dad might expect, even allowing the opportunity to get on the gas a little more when the kids are at school. Power in the 2010 Volvo XC90 comes from a 240-horsepower, 3.2-liter six-cylinder engine or a 311-horsepower 4.4-liter V-8, with a six-speed automatic. Six-cylinder models come with either front- or all-wheel drive, while all V-8 models have AWD. Both of these powertrains are shared with the S80 sedan; the base engine is smooth and rather eager, though it won't deliver if you really want to move fast with a full load. On the other hand, the V-8 has a rumbling, sonorous personality that's unexpected in a Volvo; it's a bit faster but more of a gas-guzzler. One of the major trump cards of the XC90, though, is its towing capacity of up to 5,000 pounds. But even with the V-8, the XC90 feels very quick, though it still doesn't feel overtly sporty. It's mostly a matter of the steering, which is responsive but not engaging; in either of the model, the body stays in check, even in quick maneuvers. Excellent seating for the front two rows, combined with good materials and a settled, quiet ride make the XC90 a standout. The 2011 Volvo XC90 is capable of carrying seven over three rows of seating and is, in some respects, a good alternative to either more trucklike SUVs or anonymous minivans. Front seats are, as in much of the Volvo lineup, supportive, comfortable, and worthy of all-day drives. Entry and exit is quite easy, too, as the seating position is more carlike than in other utility vehicles. Second-row seats are also good for adults; they can be adjusted to maximize cargo space or passenger room. Unfortunately, the third row, which is now standard on all models, is cramped and should be used as a last alternative; even for children it's tight, and anyone close to adult-sized will find their knees rather close to their face, if they can get in. With the third row folded, cargo space can be expanded to 85 cubic feet, and the cargo floor is flat. Cabin materials feel impressive, and though in appearance they're quite stark there are plenty of pleasing soft-touch surfaces. Ride quality is another high point. 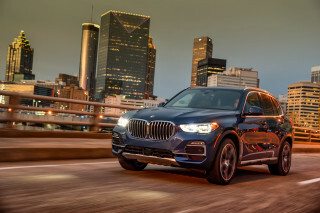 Although V-8 models and those with the optional 18-inch alloys have a slightly harsher ride, overall ride quality is excellent, with less pitchiness and side-to-side motion than in many other crossovers. For those who rank safety above all else when shopping for a vehicle, the 2011 Volvo XC90 should be near the top of the list. There's little doubt that the 2011 Volvo XC90 is one of the safest vehicles in its class, and perhaps one of the safest vehicles available. And in addition to Volvo's reputation for structural protection and protective features, the XC90 can be had with a number of high-tech active-safety systems. 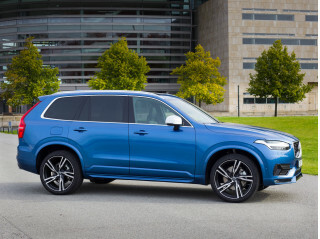 The Insurance Institute for Highway Safety gives the XC90 top 'good' ratings in all of its test categories—including frontal, side, and rear impacts, as well as the new roof strength test—and the XC90 achieves Top Safety Pick status, designating it as one of the safest. And while it hasn't yet been rated by the federal government in revised (and more stringent) tests for 2011, the XC90 earned top five-star ratings in previous model years. 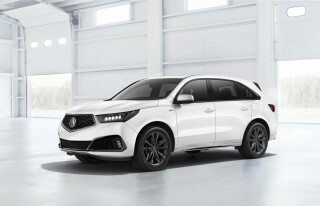 Standard safety gear includes front side and side curtain airbags, anti-lock brakes with electronic brake distribution and brake assist, stability and traction control, roll-stability control, a rollover protection system, and finally, rear park assist. But in addition to that, there's the available Blind Spot Information System (BLIS), which warns of vehicles in the blind spot vie indicator lights. If you're willing to spend quite a bit extra, the 2011 Volvo XC90 comes with enough to keep the family safe, comfortable, and entertained. For those keeping tabs on common comforts and conveniences, there isn't much missing from the XC90. 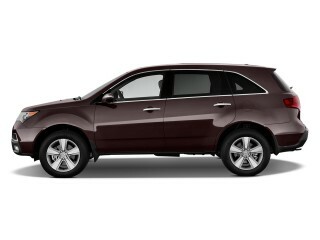 Leather upholstery is standard on all models, as is keyless entry, cruise control, and dual-zone climate control. R-Design models (not available with the V-8) add a host of exterior and interior styling cues, including 19-inch Vulcanis diamond-cut alloy wheels, an R-Design grille, leather seating surfaces with embossed R-Design logos, a sports steering wheel, watch dial instruments, and custom floor mats. 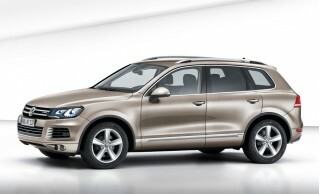 With city mileage numbers in the mid teens, the 2011 Volvo XC90 at all a green pick. If fuel economy and carbon emissions are your primary gauges of a green vehicle, as they should be, the six-cylinder and V-8 powertrains in the Volvo XC90 fail to impress, or even match the average numbers in this class. V-8 fuel economy has risen to 14 mpg city, 21 highway for 2011, but numbers with the six-cylinder remain an unimpressive 16 mpg city. 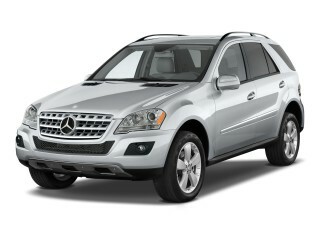 Among crossovers, you can do much better: Examples include the 2011 Lexus RX 450h or Mercedes-Benz ML350 Bluetec.